Everyone hates a great pun. The better the pun, the more it is despised. But whether you are for pun-control or not misses the point: Shouldn’t Christians enter boldly into all culture-making fields and win them for Christ? And shouldn’t that include status update text fields on Facebook, tweet fields on Twitter, and especially the body text fields for email forward chains? 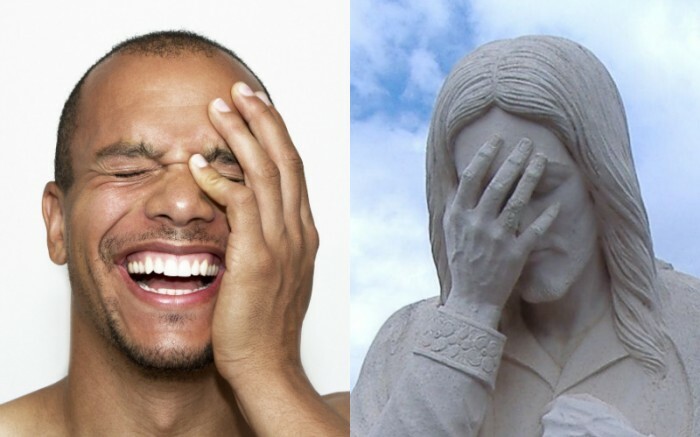 So we here at ChurchPOP have scoured the Internet for the absolute worst Christian puns ever conceived. Now you just need to help spread the misery. 1) What is a dentist’s favorite hymn? 2) Who’s the arch-enemy of the Gsus chord? 3) What’s a salesman’s favorite Scripture passage? 4) Where was Solomon’s temple located? 5) How does Moses make his coffee? 6) Who was the smartest man in the Bible? 7) What kind of man was Boaz before he married? 8) Where is the first baseball game in the Bible? 9) Why did the hawk sit on the church’s steeple? It was a bird of pray. 10) Which servant of God was the worst lawbreaker in the Bible? Now these are just stupid. 11) Who was the greatest comedian in the Bible? 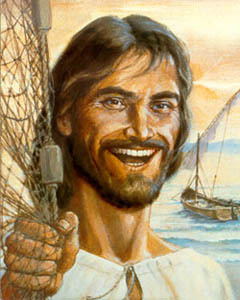 12) What car make did the Apostles drive? 13) Who’s the patron saint of poverty? 14) Why did some cardinals get their feathers ruffled? The Pope gave away the church’s nest egg to the poor. 15) What’s a missionary’s favorite kind of car? 16) What’s the best way to settle church disputes? 17) Which Old Testament prophet took forever to make a point? 18) How long did Cain hate his brother? 19) At what time of day was Adam created? 20) Why did Noah have to punish the chickens on the Ark? 21) What’s the difference between Jesus and pizza? 22) What man in the Bible had no parents? 23) Why wouldn’t the Pharaoh let the Hebrews go? He was in ‘de Nile. 24) Why did Samson try to avoid arguing with Delilah? 25) Why did Moses cross the Red Sea? 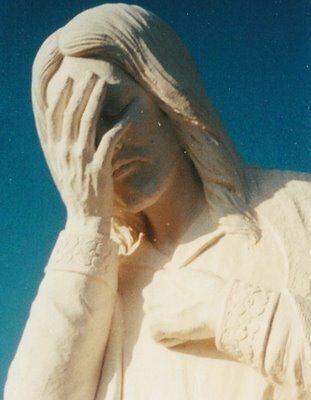 26) If Moses were alive today, why would he be considered a remarkable man? Because he would be several thousand years old. Now, come on, that wasn’t so bad!